shipping companies. When it comes to weighing a large quantity of heavy materials, whether that is a big barrel full of liquid, a pallet full of cinderblocks, a cart full of suitcases or boxes to be shipped, you need a method that minimizes risk and effort. That’s where a floor scale with a low platform from Arlyn Scales can help you. Arlyn Scales incorporates revolutionary Surface Acoustic Wave (SAW) technology to build a warehouse floor scale that is far more durable, efficient, accurate and long-lasting than many alternatives on the market. Our coatings and data transfer options can help you as well. Learn more below. Every industry that deals with a physical product uses some form of a warehouse or storage facility for its work. Often, these scales will get daily use. While you can ensure careful practices and procedures in your warehouse to make sure your scales last, accidents happen. A wheel on your dolly can break, and a heavy load can land on your scale all at once. A hurried employee can forget to secure a pallet of cinder blocks, pressure treated beams, or whatever you’re weighing, and your materials can fall on your scale. Some scales out on the market may be good at handling heavy weights, but terrible at dealing with sudden impacts. However, Arlyn’s load cell technology lets us construct our load cells out of stainless steel, as opposed to the aluminum used in many other scales on the market. Stainless steel is more durable, resilient, and “springy” than aluminum. This means the load cells in Arlyn Scales are far less likely to break down under sudden impacts than other scales. Aluminum tends to warp under sharp impacts, so you will save money in the long run by using stainless steel. On top of being made out of superior materials, Arlyn’s stainless steel load cell technology actually makes the readout more accurate. Floor scales from Arlyn can improve efficiency in warehouses used for shipping, stocking, and storage. Often these facilities need to keep track of the weight of packages. These facilities process hundreds of packages in an hour. If the weight of each package, or in fact a whole group of packages must be recorded, a low-platform scale can make this safer, faster and more efficient. All your warehouse workers have to do is set the tare to the weight of your dolly, and wheel the loaded container onto the low platform. In other situations, the workers will be loading the packages onto weigh platforms by hand. In this situation, a low platform scale may be used on either the floor or an elevated platform depending on which is more efficient. The low profile of this scale makes it more adaptable to different environments. The easier it is for your workers to reach the scale, the faster and more efficiently your workflow will happen. Arlyn Scales has developed a protective coating for our weighing equipment that helps them in harsh materials. Let’s suppose you are working in a warehouse that stores bags of chemicals for cleaning up, or clarifying pools. Many of these common substances are actually quite abrasive, and can damage metal upon contact. If you are working with these materials, there is always the possibility that a bag could rip or the bottle could break, spilling caustic chlorine, lye, or sulfuric acid onto the surface of your shiny new scale. Fortunately, Arlyn Scales offers you a solution. Our scales are available with a Zinc Galvanized Epoxy coating. This keeps the scale from scratching easily. If it does get scratched, which is common when you are placing loads off and on scales at all times, the coating will prevent rust from spreading onto the scale. 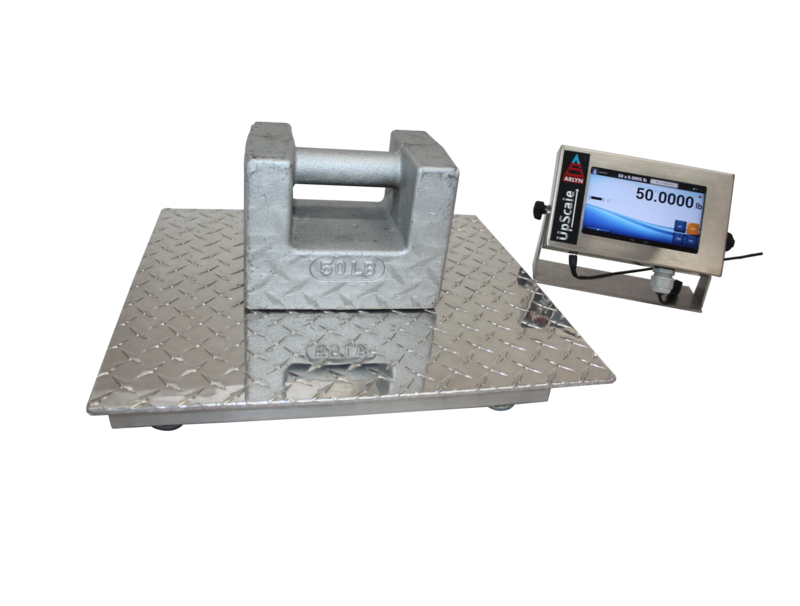 Rust can warp the accuracy and durability of your scale, so a coating to protect it can make a big difference in terms of how long you will get to use your scale. When you are working in a warehouse, you have to figure out the best way to get your data from point A to point B. Arlyn Scales can help you solve that problem with the incredible range of connectivity options we offer. Whether you prefer traditional cables, or love the freedom and mobility that comes with using WiFi, we have the right option for you. If you are tired of scales that don’t deliver the level of accuracy you need, or can’t withstand the rough conditions of your work, give Arlyn Scales a chance. We have provided industries as diverse as farming and factories, and we are more than confident we can do the same for you. We would be happy to advise you if you give us a call at 800-645-4301 or contact us online. We look forward to hearing about your warehouse, and how we can help you make it better.